Could the best Black Friday buy really be hearing aids? Maybe you’re planning to splurge a bit this Friday. You’ve been looking at a bigger TV, an updated appliance, or the latest gadget. We get it, we love these too. But with the holidays around the corner, why not invest in yourself? We hear from customers every day just how life-changing our hearing aids have been for their health, passions, and staying connected with the people they love. And we’re giving you 10% percent off your entire* order during our Black Friday Sale. Just use code BLACKFRIDAY2018 at checkout for renewed hearing this holiday season. Happy hearing from the hearing experts at Audicus. How does a person get audiolist test done? 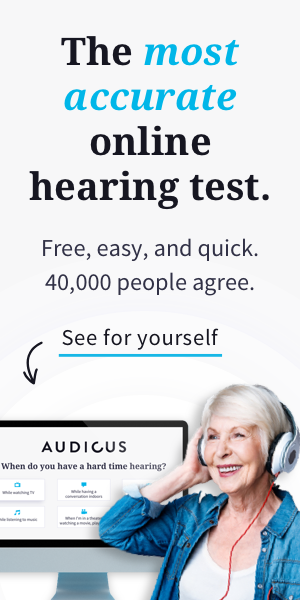 You can take our Online Hearing Test in about 15 minutes. Or schedule one with a local audiologist or ENT. We are happy to give more support over the phone. Just call us at (888) 979-6918. Thanks and let us know how we can help!